While it was difficult letting Lindsey go on this 3-day camping trip without tagging along to protect her and keep an eye on her (yes folks I AM one of those hovering mothers and proud of it!! ), I knew it was necessary for her and for me. She was thrilled to be on her own and promised me she would exercise caution when sitting on or standing near a horse. 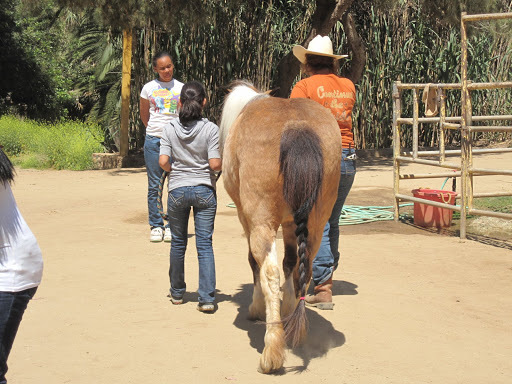 Lindsey had an awesome experience at this horse camp. Aside from the less desirable responsibilities like cleaning up horse poop and feeding the animals, she learned how to horseback ride and how to perform a horse gymnastic routine known as “vaulting”. 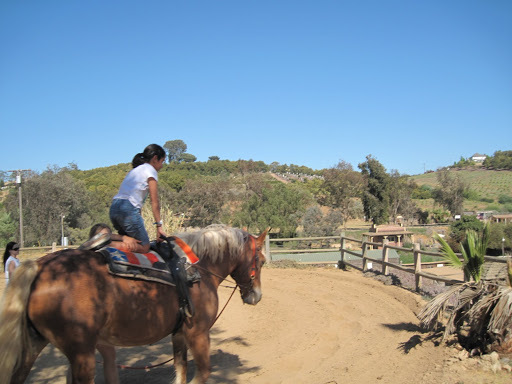 She even made a new friend, a horse named “Bonnie”. She said it was tough saying goodbye to her. Bonnie was all she talked about when she got home. Lindsey even thought it would be a good idea to buy the house behind us so we could tear it down and build a horse stable. Pretty creative thinking. Here are some pictures she took of her and Bonnie.